Truck Weighing - Single Deck | Weighing ApplicationZF Associates Co.
Truck weighing is handled by indicators in both the R400 and 5000 series. The R400 series indicators feature a multi-line display and handle up to 16x350ohm loadcells. 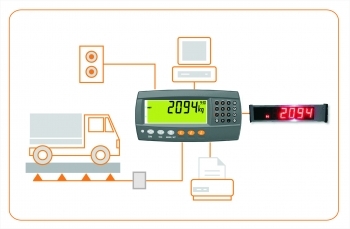 The R400 Series K404 and the 5000 Series 5230are specific ically for truck weighing applications. The D640, D740 and 6500 all could be used for large remote displays outside to display the weight to drivers. The 0071 Summing Box takes up to 6 load cell inputs and can be daisy chained with another 0071 to handle up to 11 load cell inputs. 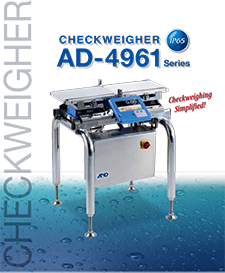 Batch Process Single Weighing (In-Out) – where a product fill is performed directly on the weighbridge. The optional outputs could be used to control a product fill from a silo, for example. Multiple and Variable Axle Weighing (In-Out) – allows up to 10 axles of a vehicle to be weighed and the weights stored as the transaction.